The NedXplor 38 is a one of a kind opportunity that encompasses Dutch design and naval archi- tecture in a manageably sized unique explorer yacht with outstanding features and pedigree. At 38 metres, the NedXplor 38 offers a large amount of volume and features and succeeds in being neither too small nor too big. 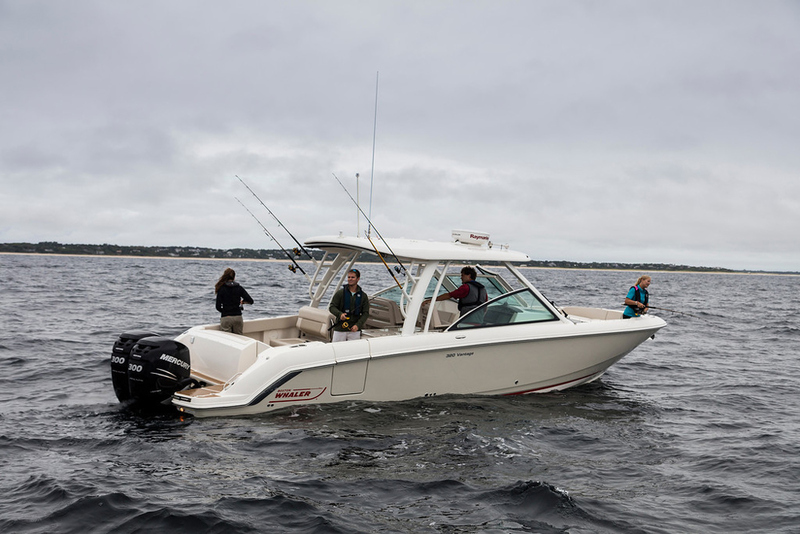 Carefully designed for ease of use and to maximize all on board spaces, ensuring huge volume and storage, the NedXplor 38 can accommodate ten guests and seven crew. The interior, by the Omega Architects team, is elegant, warm and instinctively laid out, with large light-filled spaces flooded with natural light due to full height glass windows. 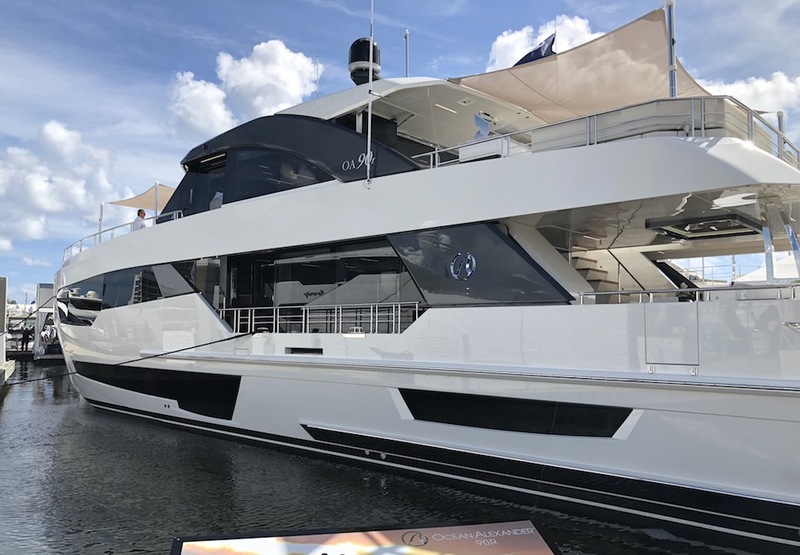 Stand out features include a large owner’s cabin on the main deck plus four additional guest cabins on the lower deck, a spacious main saloon, a sky lounge, full beach club, and gym. Large outdoor spaces including panoramic sundecks, a Portu- guese bridge and generous lounging terrace, with 360-degree views from the distinctive raised aft deck. Additionally, she also offers the capacity for up to five tenders and a helipad, with a special sublower tank deck for added storage. The NedXplor 38 cruises at 11 knots with a maximum speed of 15.5 knots and an impressive range when cruising. Featuring a formidable combination of the patented Fast Displacement Hull Form (FDHF) and the patented ‘under water spoiler’ Hull Vane® by Van Oossanen she is efficient and economic to run, with this hull form ensuring a 30% fuel saving, with over 5000 nm achievable on just one tank of fuel. The Hull Vane has also been designed so it can be built to Ice Class if desired, perfect for Arctic exploration and an attractive add-on for the truly adventurous of heart. A uniquely sized adventure yacht, economic in service, offering amenities and features usually found on larger yachts. Hull designed for efficiency and economic to run (30% fuel-saving & over 5000 nm achieva- ble on just one tank of fuel). Spacious interiors including a large owner’s cabin on the main deck + 4 cabins on the lower deck, large main saloon, sky lounge, full beach club and gym. Large outdoor spaces offering panoramic views. Two different exterior styling options available. Form and function are joined equally in the design of the 38m explorer yacht. Many explorers obtain their character by the conversion of a commercial vessel, but our design was con- ceived as a full private yacht and a full explorer at the same time. The main property of this yacht is her versatility. Her near vertical bow and forward leaning wheelhouse with reversed inclining windows emphasize her sturdy masculine character and eagerness to carry her guests to remote bays, exploring the world. Moreover, from her aesthetics she is un- mistakably a superyacht and offers luxury and safe comfort for ten guests in total. The sun deck offers panoramic views from the sun bathing area and shaded lounge area, protected by the wrap around windshield forward. The upper deck features a protected Portuguese deck with water shield and MOB forward, sitting in front of the wheel- house with adjacent captain’s cabin. The aft sky lounge in- cludes inviting sofas in a spacious arrangement with a cinema. Sliding doors connect to the aft al fresco dining area, with a full dining table set abeam. The main deck forward has the owner’s suite with sofa, en suite bathroom and dressing room with vanity. The central staircase divides the private owner’s suite privacy from the spacious sa- loon / dining area, which contains comfortable sofas arranged in an inviting setting with tv-screen. Here’s also the 10 guest dining table. Sliding doors open up to the aft deck with two seating areas arranged around the jacuzzi pool embraced by steps, offering panoramic views to the sides and aft. The NedXplor 38 cruises at 11 knots with a maximum speed of 15.5 knots and an impressive range when cruising. Featuring a formidable combination of the patent- ed Fast Displacement Hull Form (FDHF) and the patented ‘under water spoiler’ Hull Vane® by Van Oossanen she is efficient and economic to run, with this hull form ensuring a 30% fuel saving, with over 5000 nm achievable on just one tank of fuel. Two High Holding Power anchors which will be fully balanced and certi ed will be installed to meet the requirements of the equipment number. Two (2) electric stainless steel anchor capstan make Lofran’s or equal model to be determined with chain cable lifter suitable for studlink chain cable of size to be determined made to quality U2 material. On the aft main deck two Lofran’s or equivalent electric mooring winches will be installed. The Yacht will be supplied with two “zero speed” ns from Naiad or equiv- alent. A Hull Vane ® will also be installed to reduce the rolling and pitch response of the vessel. One bowthruster hydraulically driven by pumps on each gearbox will be installed in the forepeak. The thruster will be provided by Side Power or equivalent, approx. 60 kW based on a size study from VONA. The yacht will be tted with a Hull Vane® that will reduce the pitch response of the vessel in waves and lower the trim in calm water operations of the vessel. At the same time the Hull Vane® improves fuel e ciency by app. 15% and increases the range by the same amount. The Yacht will be tted with a 50 Hz. electrical system. Two xed RPM Kohler or equivalent diesel generators will be installed in the Engine Room. The generators will be approx. 100 and 75 Kw in power. The two gen- erators could also be operate parallel. The generators are to be mounted in soundproof boxes, and will have double elastic mounts, consisting of exible mounts under each generator, mounted on a exibly supported base frame. Double bottom tanks with sounding system and manholes will be utilised within this vessel. The fuel system will include a fuel transfer system and tank ventilation. Parallel to the transfer pump a fuel separator will also be installed. Remotely controlled valves will be utilised to enable fuel to be transferred between the various tanks. Electric or diesel selfpriming bilge / re ght pumps, make to be determined, will draw from bilge manifold or seawater manifold and discharge to the main re ght line or overboard via the discharge pipe. Bilge suctions lines will be according to classi cation requirements. The bilges in the vessel will be con- nected to a bilge valve chest with marine bronze ball valves. All bilge points will have remote alarms. One international shore connection will be provided and connected to the re main. Fixed provisions will be made for usage on port side and starboard side. A re extinguishing system is to be installed in the engine room with the necessary nozzles and triggers at the engine room entrance. The engine room to be protected by gas equal to or equivalent to Novec 1230. A siren in the engine room is operating automatically when re alarm is activated. A complete communication system will be installed in compliance with Flag rules. Summer: 23 °C and 50% relative humidity internally at a reference outside temperature of 35 °C and 90% relative humidity. Winter: 20° internally with an outside temperature of 5°C. All crew quarters including the wheelhouse will be provided with cooled air by means of fan coils. Fresh and ltered air is to be added from the central fresh air unit. The fan-coil units shall be cooled by means of chilled water from a chilled water unit. The galley hood extraction will lead to the mast. The engine room will be cooled by air through the Engine room air vents. All bigger stores and machinery compartments shall be provided with natural or forced ventilation. Small stores and all other areas shall be provided with vent pipes or openings for natural ventilation. Main and auxiliary engines will have a fresh water cooling systems with heat exchangers, oil coolers and sea water pumps. Two large steel sea water inlets with cross-over and butter y valves are installed for main engines and auxiliary systems as air-conditioning, deck-wash and other cooling systems. fresh water system will include hot and cold water and serve all ensuites, day heads and galley as well as several technical areas. The system will consist of a supply and return manifold, frequency driven pumps, circulation pumps, UV sterilizer, electric heaters and a freshwater generating unit with a capacity to be determined. The navigation system will be integrated into the wheelhouse of this vessel. Two wing stations will be integrated in the bulwark adjacent to the wheelhouse doors both port and starboard. A detailed speci cation of the navigation equipment to be installed will be supplied. All exterior out tting items like hull doors, hatches, cranes, windows, portholes, railings, deck hardware, anchor and mooring system, exterior deck furniture etc. as indicated on the general arrangement plan will be supplied, installed and commissioned by the yard. Due care shall be given to practical usage, mainte- nance access and requirements. All exterior ttings and piping are to be polished stainless steel. As per the general arrangement plan, decks are to be covered with teak. Teak planking and borders with exible joints will follow the curvature of the deck shape longitudinally and in camber. A speci c teak plan will be provided by the designer in collabo- ration with the client. The yard is to supply and t insulation materials as required to meet the structural re protection, noise, vibration and thermal requirements. A noise and vibration expert will be consulted on speci c arrangements and materials to be used. The vibration on the interior and exterior decks shall meet the requirements of DNV, Part5 Chapter 12 table B9, Yacht, Comfort rating 1. All paints and paint materials shall be of a best grade yacht quality type, speci cally formulated for use in the marine environment. For the exterior paint system above the waterline the base system should be AWL-grip and the nal coatings should be AWL grip linear polyure- thane type. Up to date speci cations should be ob- tained from suppliers of the above coatings. All painted surfaces are to be free of dust, runs or orange peel. The Builder will ensure that the shed is free of dust during the painting and will organize at his best for the nish coats to be applied during non-regular working hours in view to give the painter the best environment possible. The below water part of the hull including keel and other appendages will be covered with the Anti Fouling paint. Paint supplier to be Dupont or equivalent. Omega Architects developed a dedicated exterior design for Vogue. Taking the mas- culine and edgy profile of Edge as a start- ing point, Vogue was given a more refined and elegant profile. The rooftop was given more length and the profile lines are soft- er, smoother and more curved. The windows on main and lower deck are visually connected in black to create longer horizontal lines for a slender look, on wheelhouse deck the bulwark on the sides and Portuguese deck has smooth- er angles. The warm copper tones on the rooftop and aft section emphasize and intensify the shapes even further, making Vogue the fashionable explorer for ‘haute maritime’ traveling. As NedXplor in itself is not just a standard explorer, Vogue emphasizes the yacht-like character stronger. Vogue aims to suggest opportunities to fashion NedXplor, tempting her future owner to ultimately design her with a to- tally different mood, inside and out. 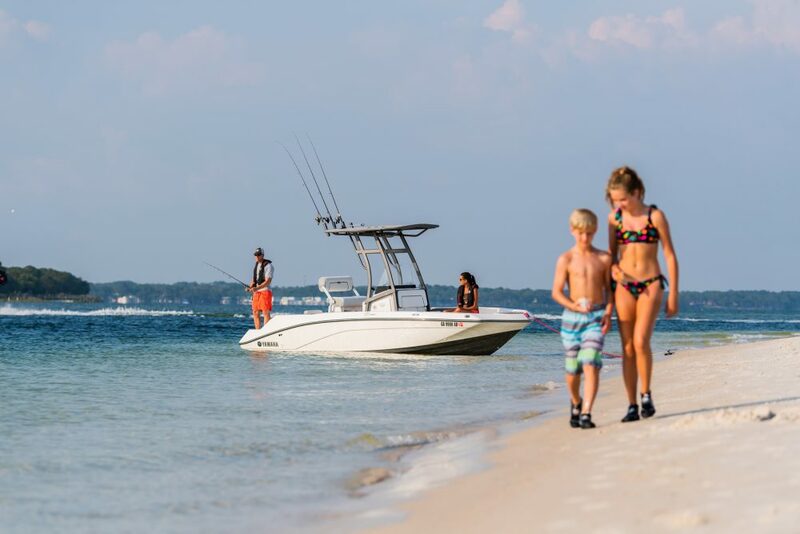 Carefully designed for ease of use and to maximize all on board spaces, ensuring huge volume and storage, the NedXplor 38 can accommodate ten guests and seven crew. “The idea was to design a versatile vessel combining the full accommodation of a 38m superyacht plus the storage capacities and versatili- ty of a 38m explorer yacht at the same time, offering the best of both worlds” says Frank Laupman. The interior atmosphere is minimalistic, inter- active and warm. Minimalistic naturally toned colours predominate creating a cosy and com- fortable atmosphere. Clients will have the op- tion to select décor elements of the salon and accommodation areas to create their desired atmosphere. Luxury amenities and features usually found on larger yachts are available, such as a large sky lounge on the upper deck and a vast 73m2 con- vertible beach club (with hatches open). A cosy environment to relax in comfort but yet with a dining area that has a communal feel to it. little artificial light needed during the day. The guest accommodation areas are spacious. The large owner’s stateroom is located on the main deck, on the same level as the large main salon/dining area. The lower deck hosts four guest staterooms on the same level as the convertible beach club. Capacity for additional facilities such as cold/ dry storage and laundry on the special sub lower tank deck. A few steps up lead to the versatile platform, to be either used as a helipad, or as a tender deck for two large tenders, or lounge terrace. The aft stairs lead down to the lower deck with the beach club or tender garage, extending the space by the flush platform when it is hinged down. The different priority given to the stern area shows the versatile usability of the new 38m explorer yacht. Guest accommodation for 8 is on the lower deck forward, accessed by the central staircase. Two double and two twin staterooms, each with an en suite bathroom and dressing. Taken care of by 6 crew from their quarters with mess forward. The sub lower deck or tank deck was created to offer extra space for storage of cold and dry goods, laundry room, thus freeing up space throughout the yacht offering greater versatility in use and design. 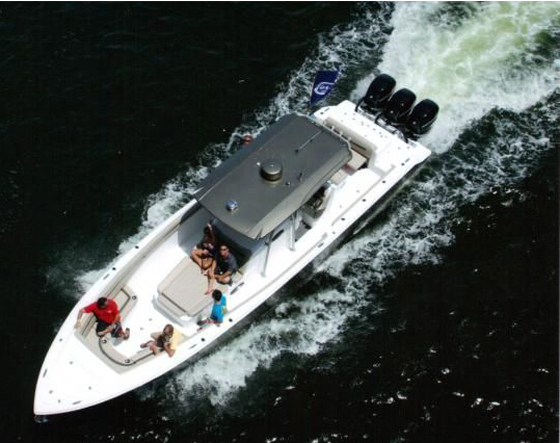 How else could the NedXplor 38 be described than as a truly versatile yacht, always ready for adventur- ous traveling. Helicopter platform on aft raised deck. plus loose furniture storage to convert the area into the beach club when the tenders are launched. This arrangement offers space for maximum six toys including four on the raised aft deck above. Tender garage with single large tender only, convertible into beach club and gym with stored loose furniture four toys on raised aft deck above. Open terrace/lounge on raised deck aft with stunning 180 degree views, plus convertible ‘single tender garage’/beach club. Aft raised deck for storage of two large tenders plus two jet-skis. Full size permanent beach club with bar plus gym, 73m2 with platform and balcony hinged down. 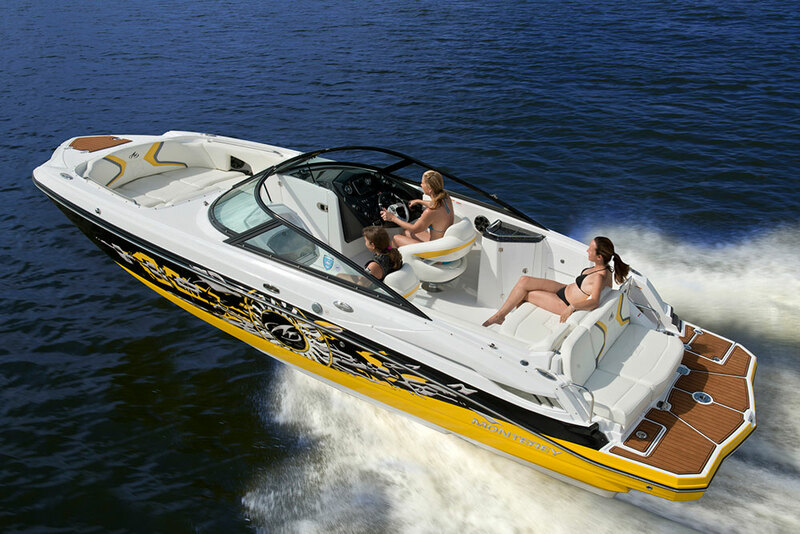 The deck easily has provision for a large and accompanying smaller tender plus the ability to store smaller water toys. When tenders are launched, the garage transforms into a full beach club, with a pantry and day head. Loose furniture to re-arrange into a more spacious set-up. With hatches open, a vast 73m2 of living space is available. Bow thruster App. 85 kW. Helicopter with touch and go landing pad - type EC 135, or equal.